A superb range of market leading web hosting plans packed full of features for your website plus reseller hosting plans for you to become your own web host. Affordable website design to make sure your message is delivered in the most effective way. View our online portfolio and find out about our fast turnaround. We make registering your domain name simple with a wide choice of domain names from countries around the globe with the best pricing on the Internet. Your simple drive gives you the power of the whole world's Internet and mobile phone networks to store, access, share and reach your information - simple! We pride ourselves on the simplicity of our feature-packed web hosting services. simplewebhosting.co.uk offers affordable web hosting accounts, great value website design and quick and easy domain name registration. 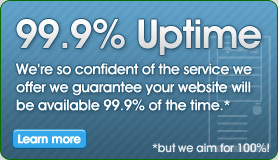 As well as the fastest UK based web hosting servers you also have access to support 24 hours a day, 7 days a week. Your website is the public face of your business, so the hosting solution selected must be able to provide a fast, secure and reliable service. 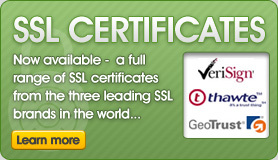 This is where simplewebhosting comes in. Ideally suited to the small business and home user alike, including everything needed to get your organisation on the Internet quickly and hassle free. Should your needs grow you can upgrade your account at any time, all aspects of which can be configured via your control panel. Couples phenomenal capacity with a powerful back end making it the ideal choice for any data intensive application. Support for 128 bit encrypted SSL connections provides sound basis for a fully e-commerce enabled presence meaning you will be able to sell your products on the Internet quickly and easily. The most any website could need including full e-commerce facilities and powerful databases making it the ideal choice for any data intensive site. 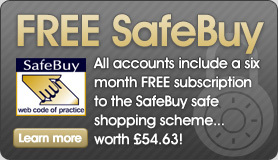 We also include a wealth of free software to help make your website interactive! Offering full support for Active Server Pages, Microsoft Access databases and SSL secure transactions, the Windows Plan enables the construction of dynamic, data driven web sites with the minimum of technical knowledge. We also have a range of web hosting reseller plans available. Need a little bit more? Why not have your very own server all to yourself? Our UK based dedicated servers include industry standard web server software making it possible for you to host thousands of websites or dedicate the server solely to your own medium or large-sized website. 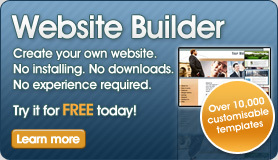 "Affordable website design to make sure your message is delivered in the most effective way." Here at simplewebhosting, we are able to offer you a complete service getting your business online. As well as the best value and highest quality web hosting, we can also provide a fast, low-cost design service to make sure you get your message across in the best way. You can have one of our designers create your site for a lot less than you might think or you can find out more about designing your own site. 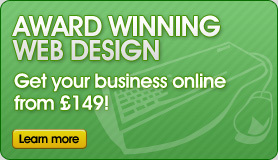 We have a variety of specific website design packages that suit most clients with prices to suit everybody! Use the buttons above to take a look at our extensive web design portfolio and give us a call FREE on 0800 619 1970 if you have any enquiries or wish to have a website designed by us! "The intent of web design is to create a web site that presents content (including interactive features or interfaces) to the end user in the form of web pages. To create a successful website, however, so much more needs to be taken into consideration..."
There are two main types of website widely used by businesses on the Internet today. Whether you are intending to utilise a flat, or static, website (generally used as a type of online 'brochure' or advert for your business) or an interactive e-commerce site, the overall look and feel will play an important role in its usability. It is important that visitors to the site can quickly and easily access the required information. The web design should present the content in an intuitive manner, making effective use of colour, layout and site organisation. A cluttered and confusing website may frustrate a potential customer and force them to take their business to a competitor! 'Brochure' websites are used by a business to present themselves on the Internet to provide any potential customers with more information about them in a favourable way. These websites can be any number of pages, depending on how much information the business wishes to display. Most brochure websites feature a home page and a contact page in order to ensure that any potential customers can quickly and easily see how to contact the business, and then any number of additional pages depending on the specific requirements of the business. We offer a wide variety of design packages for set prices, or custom designed websites to meet specific requirements. "Electronic commerce, commonly known as e-commerce or eCommerce, consists of the buying and selling of products or services over electronic systems such as the Internet...the amount of trade conducted electronically has grown extraordinarily since the spread of the Internet." E-Commerce websites are for those who are interested in selling things on the Internet, they need to be designed and implemented by professional web designers and developers. However, once the website - or web shop - is up and running they can be used by anybody, as they have a very easy-to-use interface familiar to anybody with a basic grasp of modern computers and operating systems. Businesses can sell almost everything and anything on an e-commerce website, using it as a complete shopping system or just as a shop window. Often businesses wish to have the best of both worlds and so have both a brochure and an e-commerce solution created for them as a complete package. The advantage of this is that a customers can read more information about the business before they are presented with the shop interface, this allows a business to present themselves to the customer in a more friendly and accessible fashion. 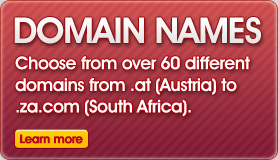 We believe that we offer the best value on domain names. Buy any domain name from us and it will cost you only £10. simpledomainnames.co.uk and simplewebhosting.co.uk have been registering domain names since 1995 for everyone from individuals and small businesses to the largest nationwide and international organisations. We'd also like to reassure customers that you are the legal registrant of your domain name, you decide who hosts your website and you can transfer your domain name away from simpledomainnames.co.uk free of charge at any time. We don't use advertisements or interfere with your domain name in any way. There really are no catches! We are a member of Nominet, an authorised Tucows OpenSRS reseller and CentralNic accredited registrar. "The person you most want to find your website is the person who is searching for you!" Search Engine Optimisation encompasses a wide variety of tasks that improve a website's 'presence' on search engines. Maybe you've heard a few SEO catchphrases - meta tags, keyword density, or page rank - but you don't know exactly how to tie them all together to produce a website that appears at the top of the search engines for a specific search term. Often referred to as "SEO", search engine optimisation is the process of arranging or displaying the content of a website in such a way so that search engines pick up on certain keywords, phrases and other content in order to display your website as a result for the appropriate search terms. At simplewebhosting we take into account many SEO factors when designing websites for our customers, however, for businesses in highly competitive areas we recommend the HyperSubmit service. 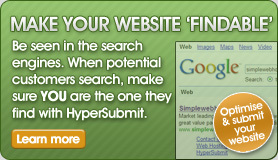 HyperSubmit search engine submission services make sure your business is one of the websites your potential customers can find. HyperSubmit will optimise and submit your website to hundreds of search engines and directories worldwide to help you unleash the full potential of your online business.